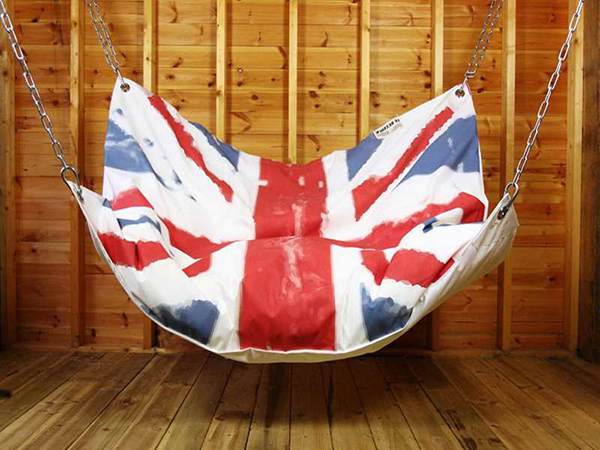 Sometimes, we would want to swing in order to relax. 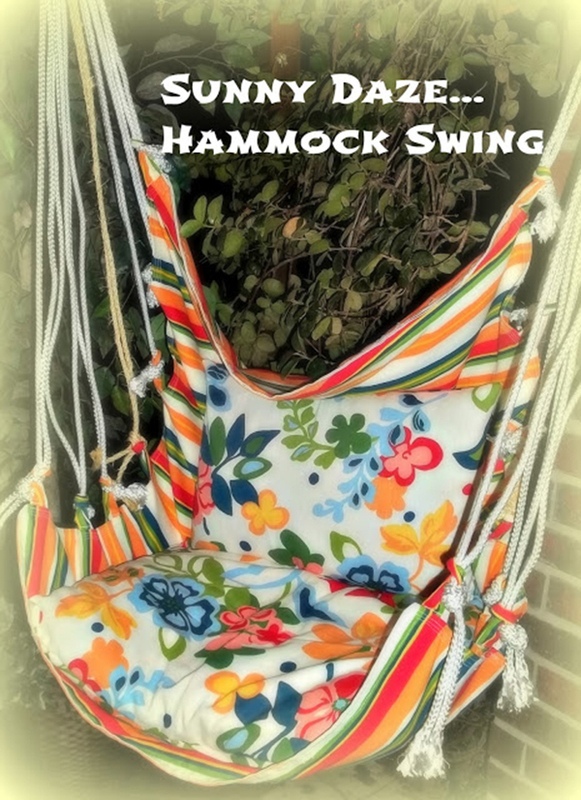 The swinging motion makes us feel free and calm just like how a baby falls asleep on a cradle or on a swinging hammock. 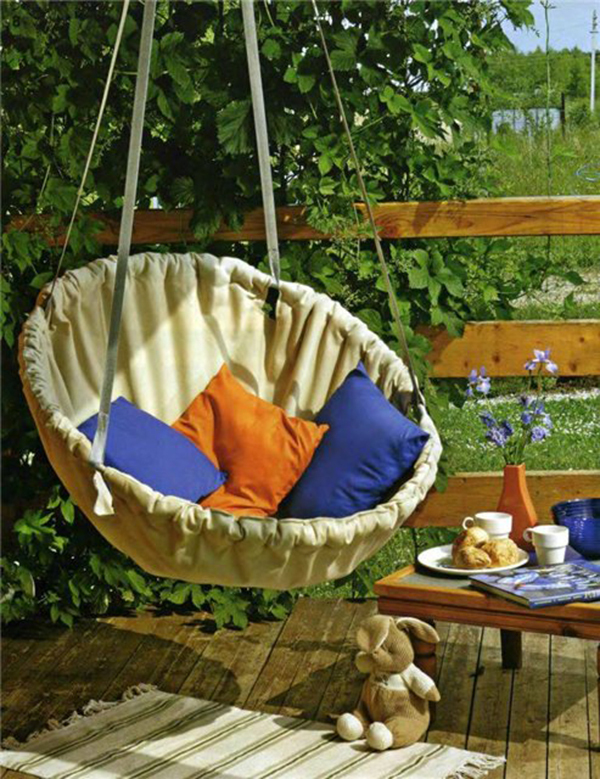 Because of the sweet sensation we feel from swinging, even chairs are hanged on the air. 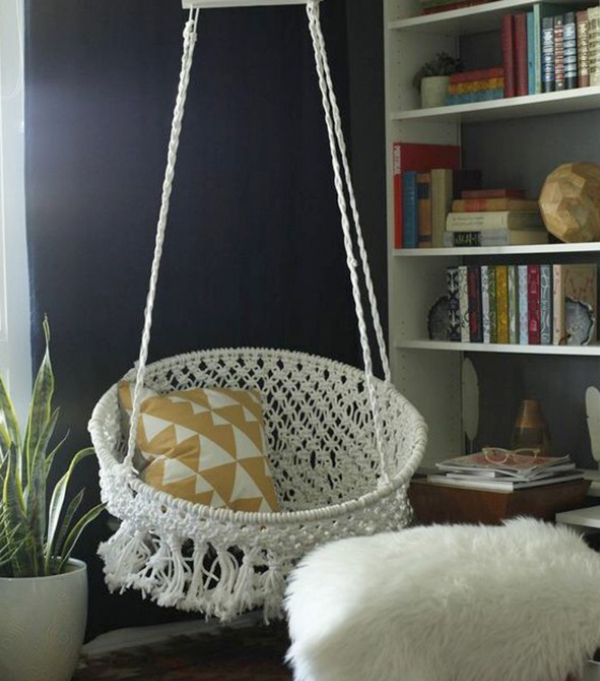 It does make us feel good when we read a book or just relax on a hanging chair. But hanging chairs are a bit expensive especially those with beautiful designs. What if you just make something on your own? Yes, that is actually possible. What is good in just making it is that you can’t just save money but you can decide on the design that you really love. 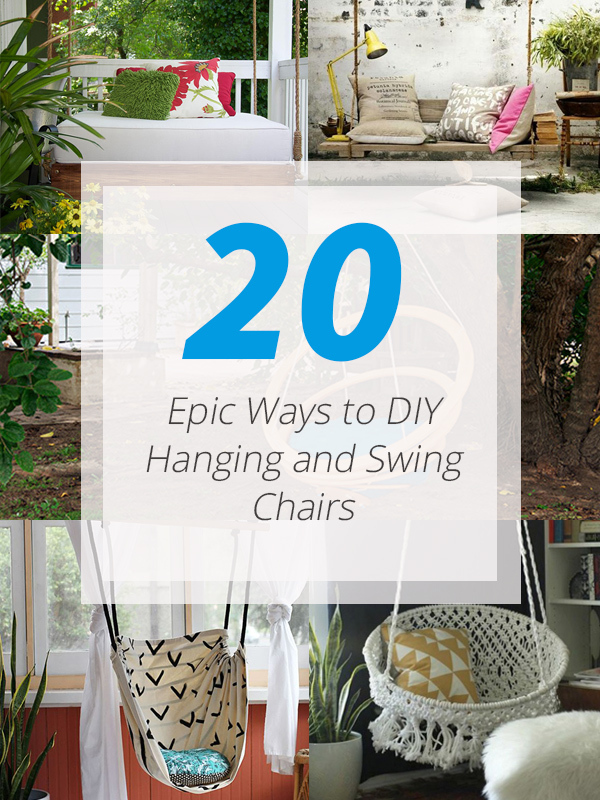 So, if you don’t know how to make a hanging and swing chair, here are 20 epic ideas for you! 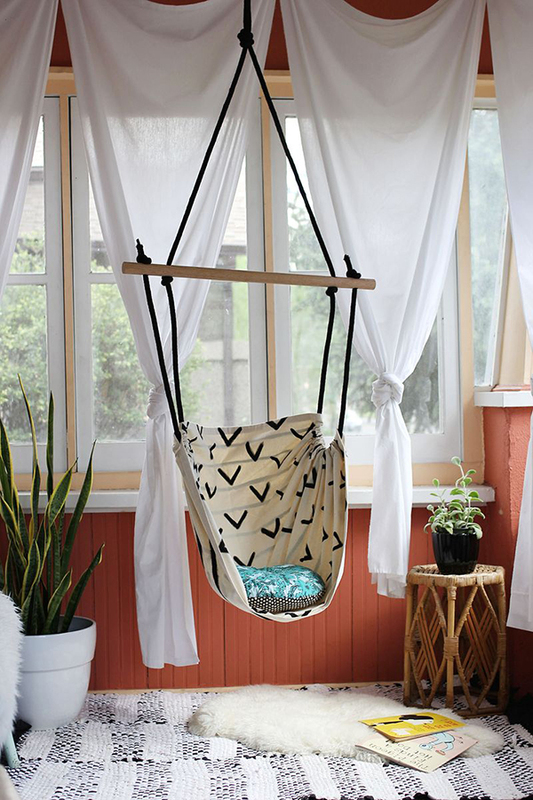 This hanging chair from Beautiful Mess is genius! I also like that the print of the fabric are different on both sides. 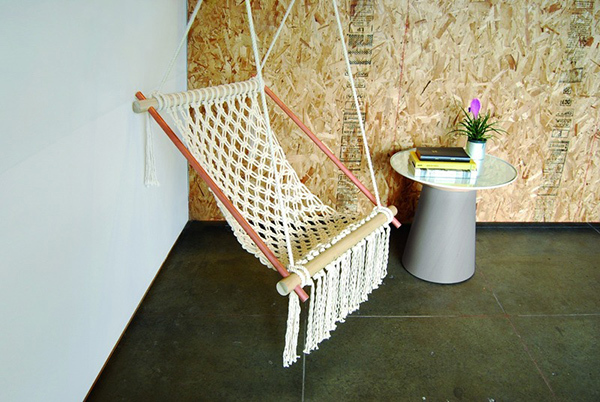 Learn how to make this Macramé furniture so you can have one in your house. 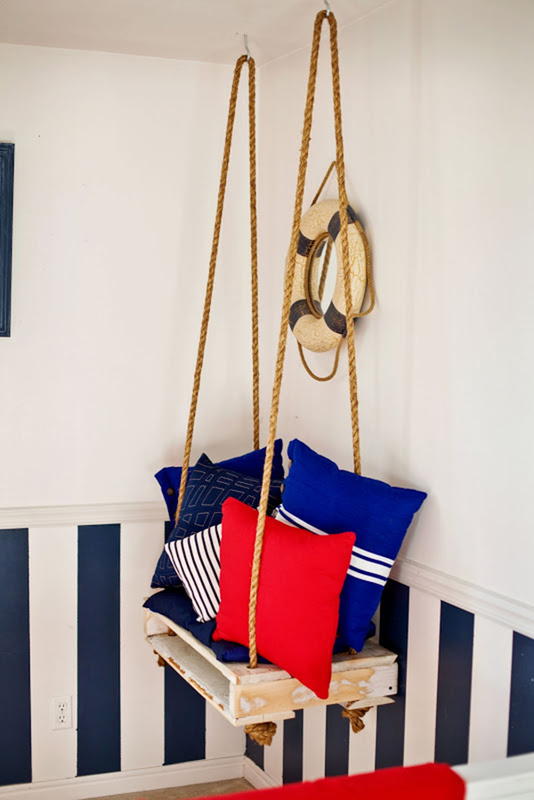 This hanging chair is perfect for a nautical themed bedroom. 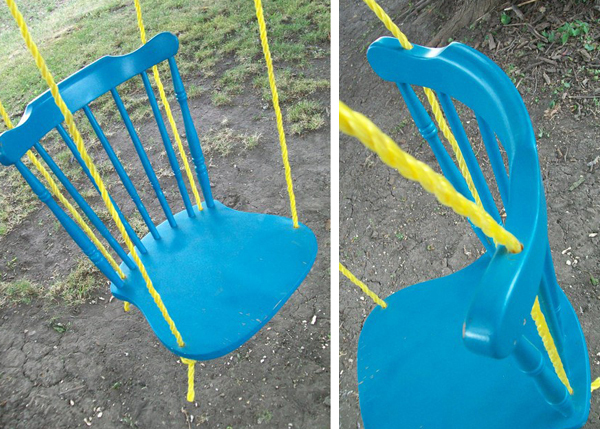 Don’t throw away your old chair. Remove the legs, add some ropes and you will have something like this! 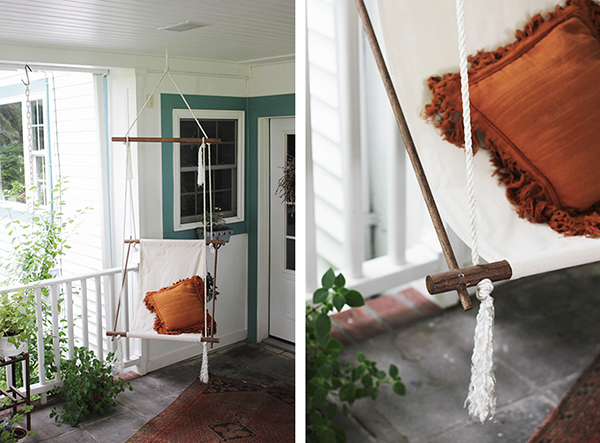 Just a fabric, wood and rope can be turned into a lovely hanging chair. Don’t forget to add the pillows! You can connect pallet this way and make a unique swing. I like how this was made. So easy and simple but it turned out very gorgeous! 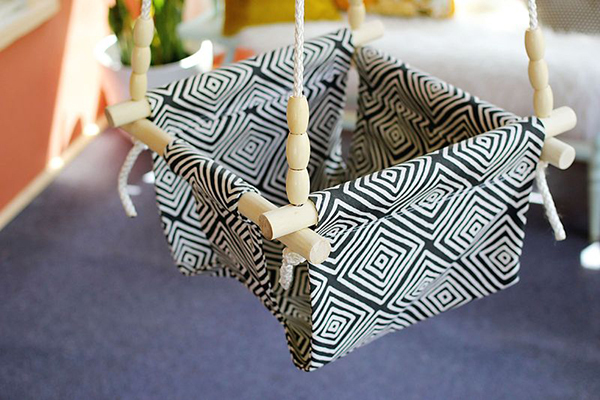 Made from fabric, this is a reading chair for a child. 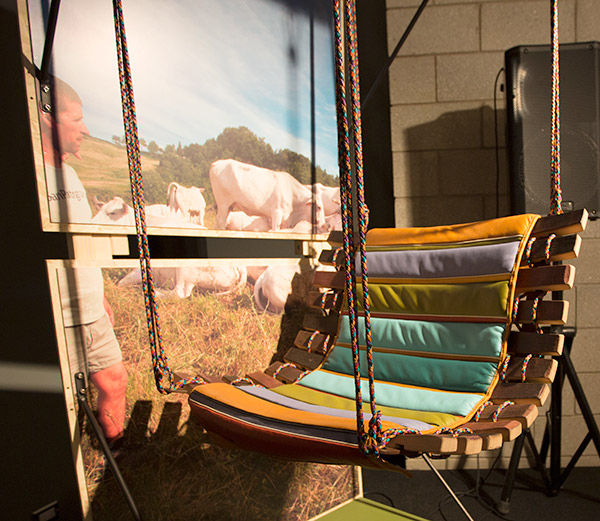 Hmmmm…Imagine how it feels like to sit on this beautiful hanging chair. Why not make one for you? 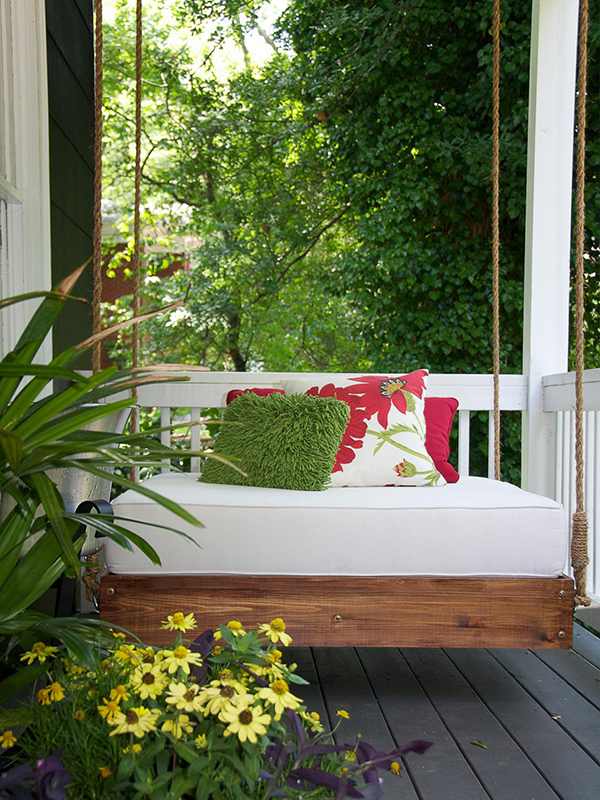 Your porch will look more relaxing with this one. You can use rustic rope or chain links to attach this to the ceiling. 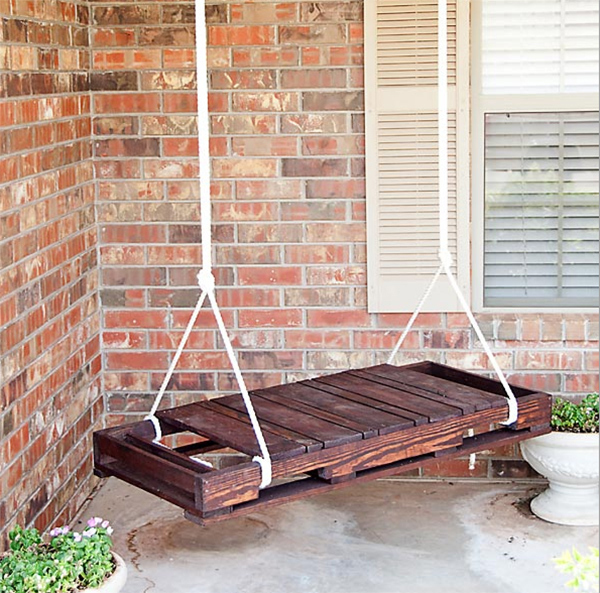 If you have some pallet, turn it into a swing like this! 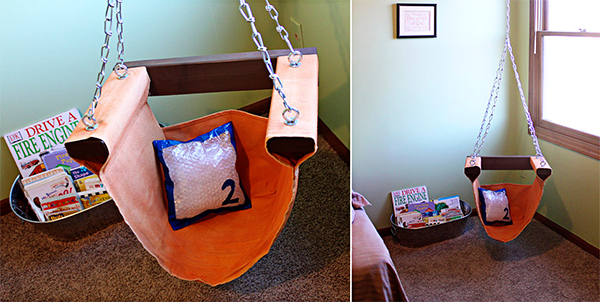 Pallet swings is a good idea both for indoor and outdoor use. Add some throw pillows for some soft touch. This one looks pretty modern but it wasn’t that hard to make! 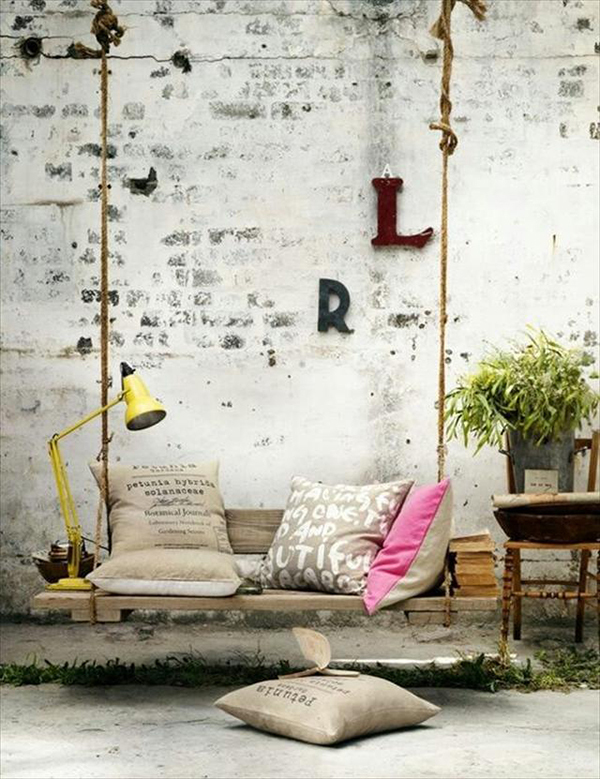 Aside from the fabric, add some comfy pillows to make it even more inviting! 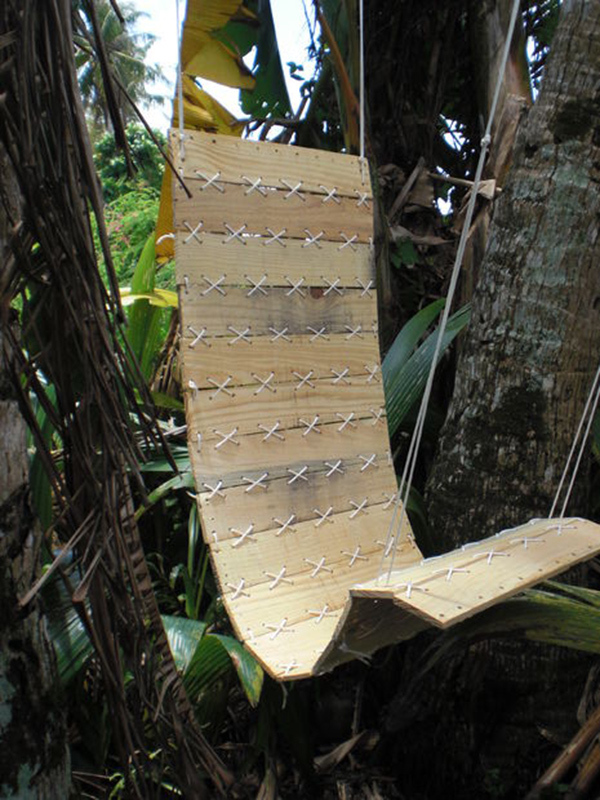 Looking at this chair will give us the idea of how it is made using fabric, string and wood. Got some bean bags? Simply add a hole on the edges and attach some chains. Done! 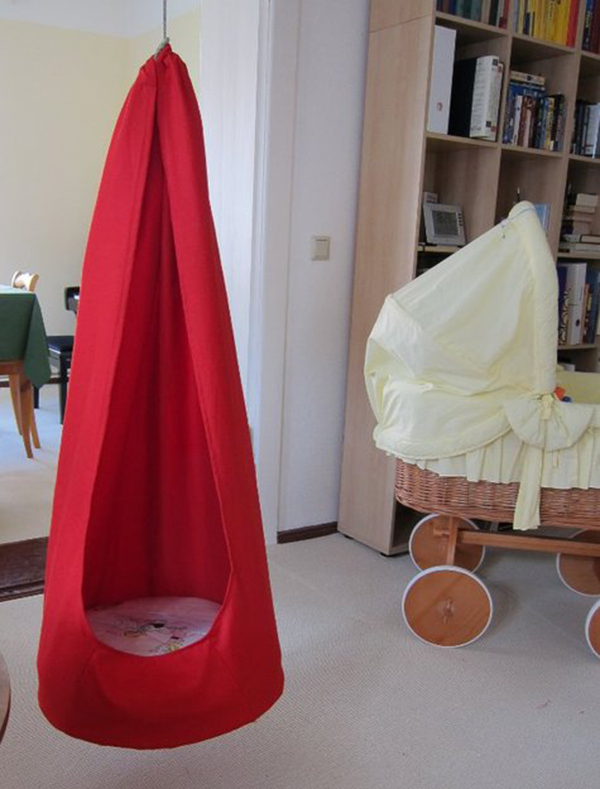 You can also make one like this that will make your toddler feel like they are enveloped inside like a tent. 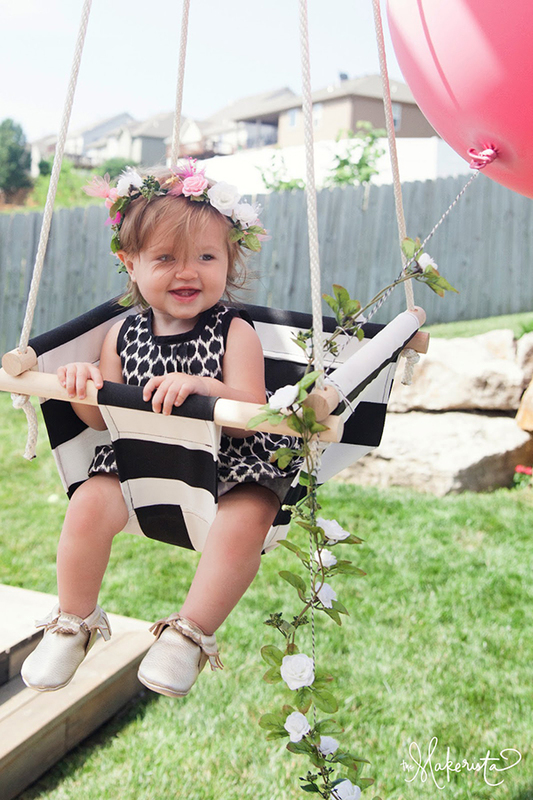 That baby sure is very happy to swing on this chair her mother made for her! Very pretty! How lovely this is! 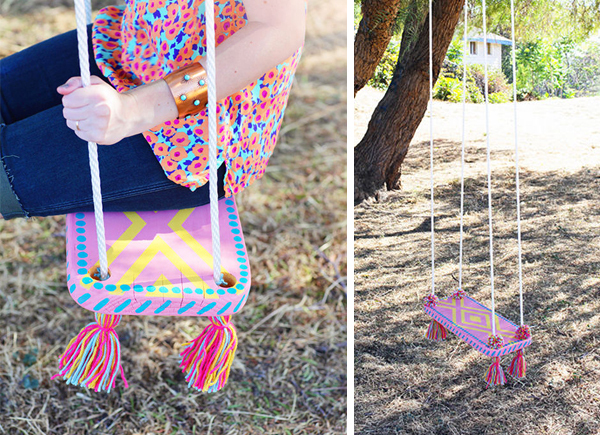 It is actually merely a wood and string but the painting and yarn tassels upgraded the look! This is beautiful mix of colorful padding and playful string that connects the wood staves of the casks to the form. Most of the chairs above would require some carpentry skills but in truth, it only require motivation and creativity. Once you have both of that, the rest will follow. I like how all of these were created. They turned out really stunning! 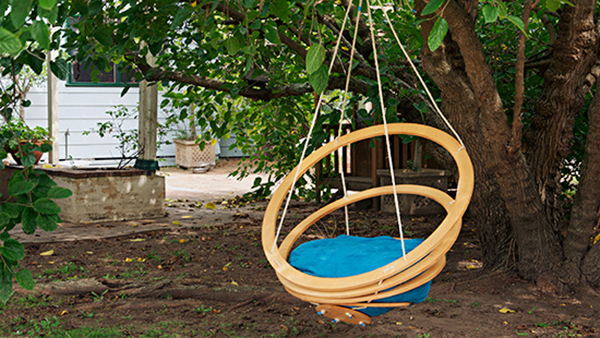 Can you tell me which of the above DIY swing chairs you love the most?